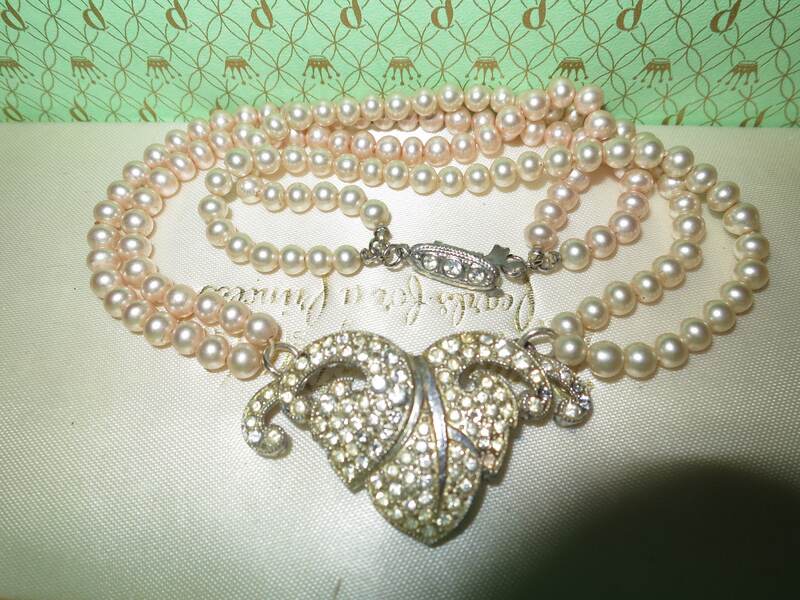 This is a very elegant vintage Art Deco 2 strand glass pearl necklace with diamante feature at the centre of the necklace. 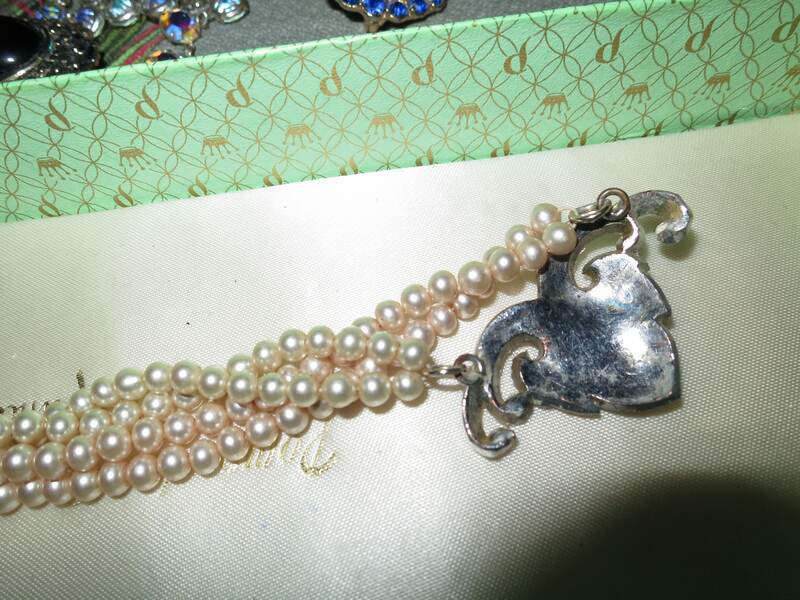 Pearls are 5 mms. 14.5 inches in length so a choker necklace.